The government’s omnibus budget implementation bill (Bill C-59) has attracted attention for its inclusion of copyright term extension for sound recordings and the retroactive changes to the Access to Information Act. Another legislative reform buried within the bill is a significant change to PIPEDA, Canada’s private sector privacy law. The bill adds a new Schedule 4 to PIPEDA, which allows the government to specify organizations in the schedule to which PIPEDA applies. Bill C-59 immediately adds one organization: the World Anti-Doping Agency (WADA), which is based in Montreal. 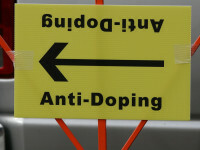 The change to PIPEDA is designed to address European criticism that WADA is not subject to privacy laws that meet the adequacy standard under EU law. WADA is currently subject to Quebec’s private sector privacy law, which meets the “substantial similarity” standard under Canadian law, but has not received an adequacy finding from Europe. In June 2014, the EU Working Party that examines these issues released an opinion that raised several concerns with the provincial law. The goal of the criticism appears to be to deem Montreal unfit to host WADA and transfer its offices to Europe. The Canadian government wants to stop the privacy criticisms by deeming PIPEDA applicable to WADA. Since PIPEDA has received an adequacy finding, presumably the hope is that the legislative change will address the European concerns.